The jam’s complex, sweet-savory balance is perfect with cheese and crackers or as a cooking glaze. 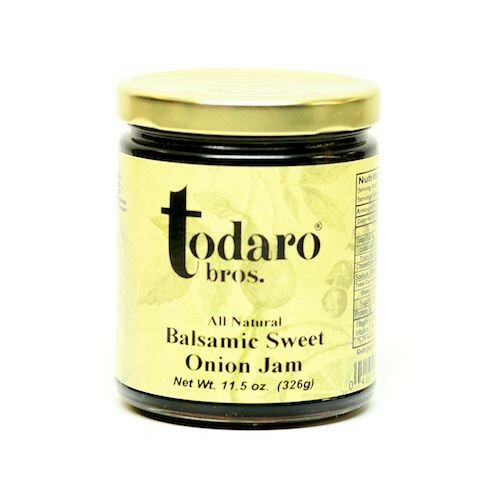 Made with balsamic vinegar from Modena, Italy, dark brown pure cane sugar, and Vidalia sweet onions. Makes an elegant and easy appetizer served with assorted cheeses and crackers. Use it to top cream cheese or create brie en croûte. Try it as a glaze for roasted or grilled poultry, pork and seafood, or as an accompaniment to roast lamb or turkey.